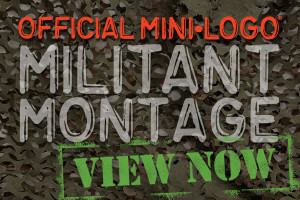 OFFICIAL Mini Logo MILITANT Montage - VIEW NOW! Check out all 34 OFFICIAL Mini Logo MILITANTs...WE OUT HERE! 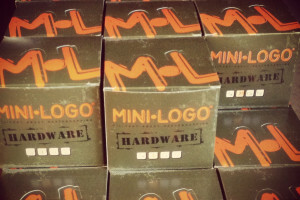 New Mini Logo HARDWARE RATIONS ARE STACKING UP!!!!! All NEW Mini Logo Hardware now comes with 10 Nuts and 10 Bolts per pack! 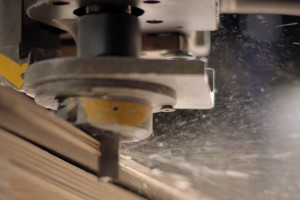 OFFICIAL MILITANT #1, Mikey Weber, with a review of the NEW Mini Logo Truck!